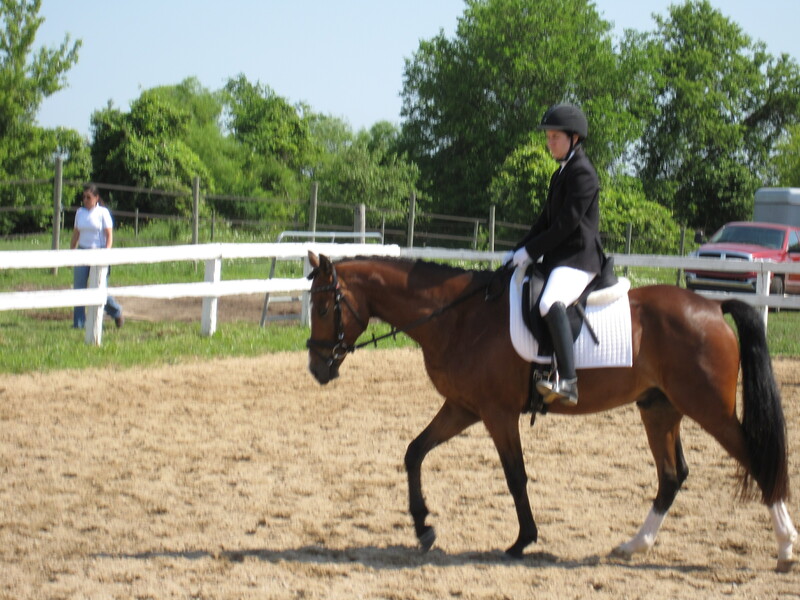 Eragon and I have had several tests of our partnership in the last few weeks. We’ve started training outside, I’ve taken him for short jaunts around the property, and we’ve had our first little argument. We’ve also had our first show! Let’s start with the argument, though. 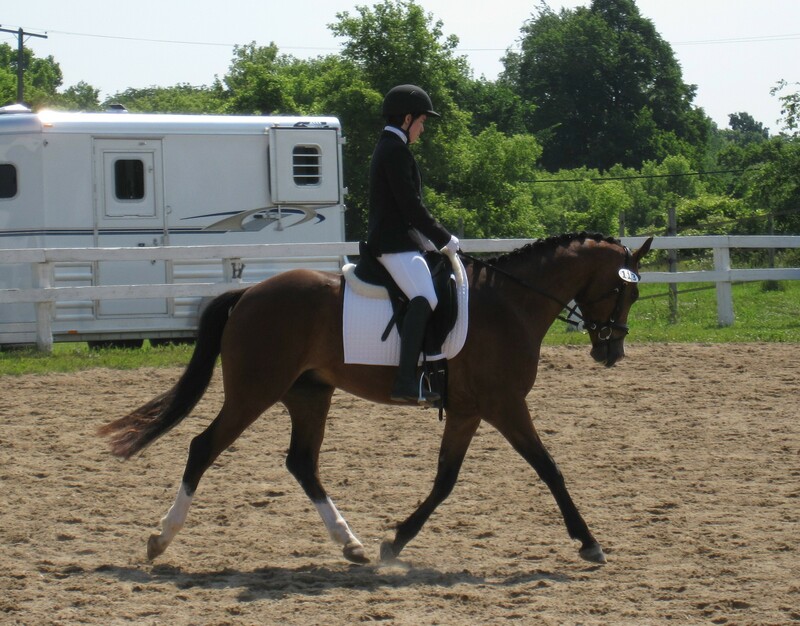 So Eragon has basically been a perfect angel since I started riding him in November. 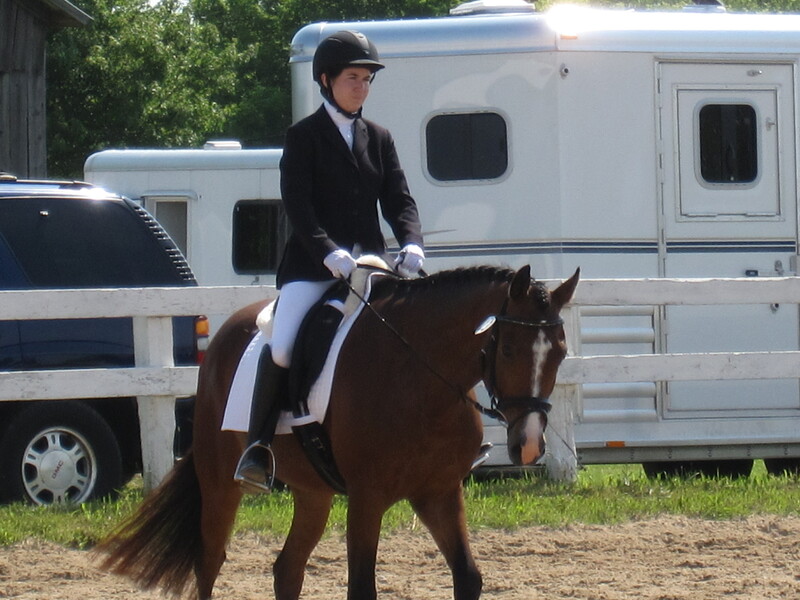 He is focused under saddle, likes learning new things, works hard, and doesn’t melt down when I put pressure on him. 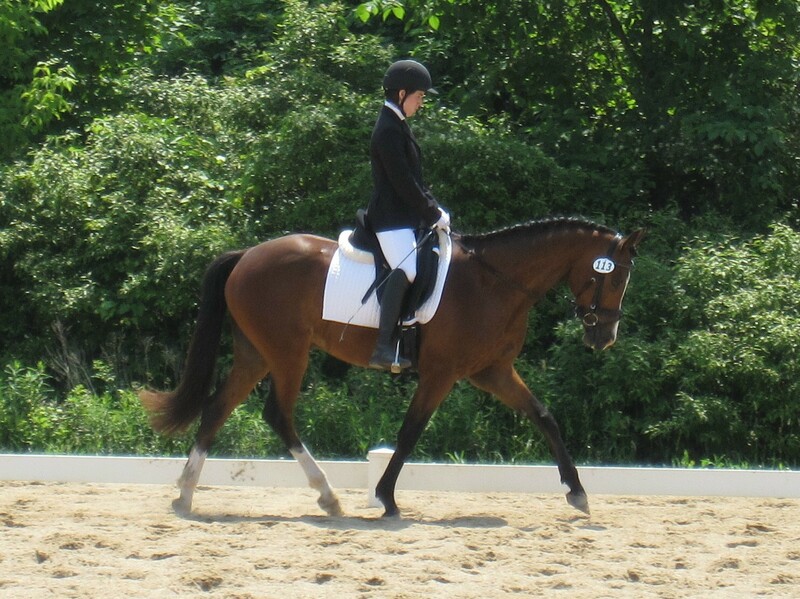 He has been naughty on the ground, but undersaddle he’s been absolutely consistent and a total doll. But, he just turned four. Trainers and other experienced horse folks tell me this is the age when baby horses might start “challenging” their rider. I got to experience one of these “challenges” last week. We’ve been working on asking Eragon to move in a more uphill frame with more lightness in front. Kate, one of my instructors, has put a few rides on Eragon (mostly because I can only be at the barn 4 days and I’d like another ride on him to make a 5 day work week) and she’s been asking for this more active carriage here and there, and so have I. We both make sure he gets plenty of stretch breaks, but this work is difficult for him, both mentally and physically. Last week, I rode for about 45 minutes inside. It was a productive ride with some tough work. We then went out to the open field. I asked for a tiny bit of trot work (since I wanted to practice riding in the open when he was a bit tired, to make it safer) and he melted down. He decided he was done. He went sideways backed up, reared, bucked in place, every time I asked him to trot up this tiny hill. I brought him down to the walk. I didn’t want to put him away (since that would teach him fits=I get to quit) but I was intimidated by his behavior. Luckily, Kate was around and she was nice enough to coach us through the behavior. I’m glad we both got through our little argument and ended on a positive note. Beyond that, I took Eragon’s behavior seriously. He was communicating with me. Yes, it was naughty that he was behaving that way. But it was probably also true that I worked him a bit too long/hard that day. So I’ve learned to pay better attention to his physical AND mental energy. Eragon puts a lot of mental energy in his work. I think his brain tires faster than his body, so I’m going to be more sensitive and not throw too much at him in a single session. It’s easy to forget he’s only 4 when he normally acts so mature. I think Eragon also learned that dangerous behavior will get him nowhere. We both learned lessons that will only strengthen the partnership, I think. Now, onto the good stuff. Last weekend, we went to our first show! 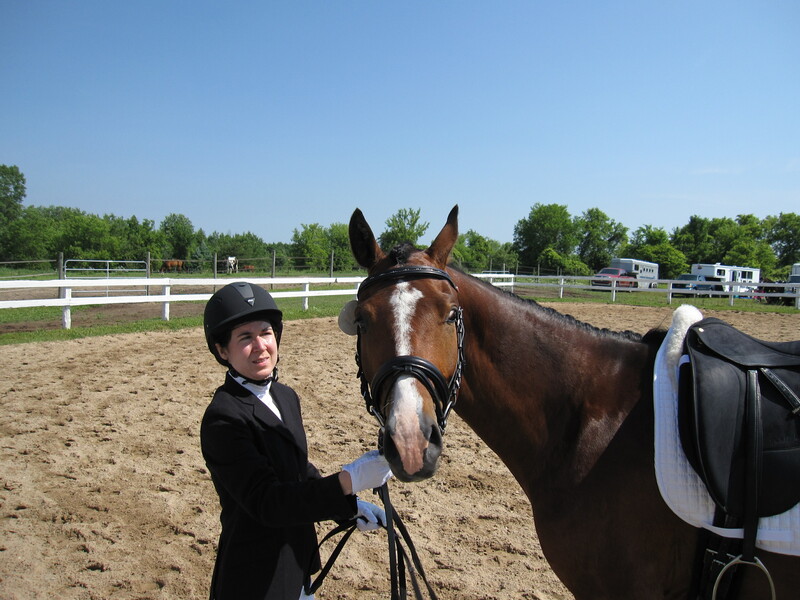 I’ve never ridden Eragon off the property, so I was pretty nervous. 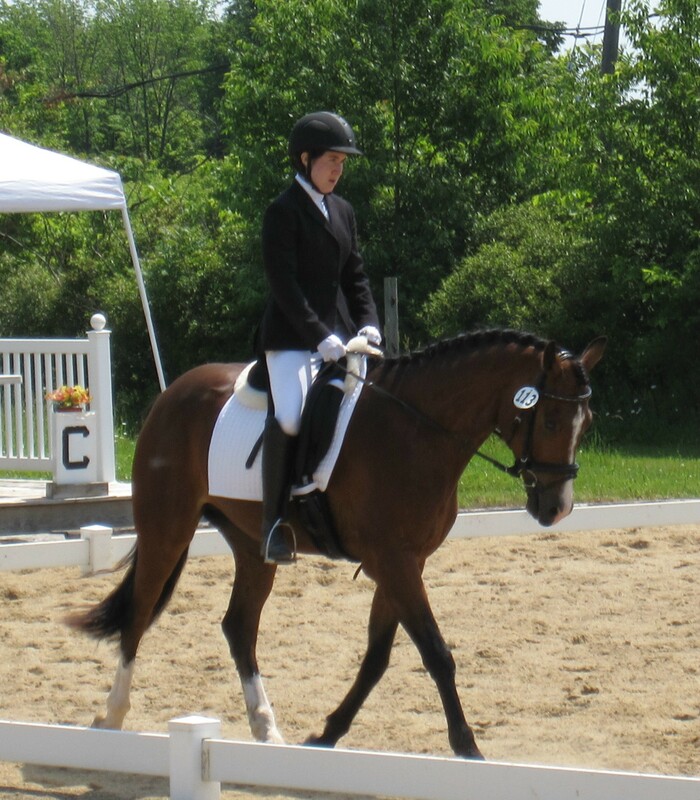 We were entered in Intro tests A & B at a dressage schooling show. The first warmup was a bit dicey, since I was nervous and had trouble riding as well as I do at home (our steering went out a few times and sent him diving for the gate). But, he marched into the dressage ring without batting an eye at anything. We scored a 52% on that test, mostly because I was so tense and he jigged through the walk work.